A fireplace mantel becomes more than just a part of your fireplace. It becomes the centerpiece of a room, a place where you can decorate, display pictures of family memories, or just let sit without any items near it as a simple yet elegant display. 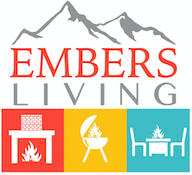 If you don’t have a wood fireplace but want the decor that a mantel provides, check out the selection of mantels available at Embers Living and see how you can create a cozy and welcoming energy in your home.